The Pali word mettā; is a multi-significant term meaning loving-kindness, friendliness, goodwill, etc. 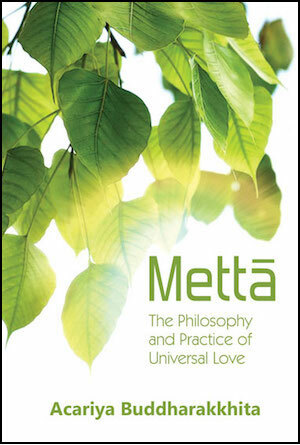 If these qualities of mettā are sufficiently cultivated through mettābhāvanā the meditation on universal love the result is the acquisition of a tremendous inner power which preserves, protects and heals both oneself and others. 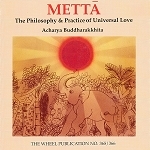 The present booklet aims at exploring the various facets of mettā both in theory and in practice. The examination of the doctrinal and ethical side of mettā will proceed through a study of the popular Karaniyametta Sutta, the Buddha s Discourse of Universal Love and several other short texts. The explanation of the meditation on universal love will give practical directions for developing this type of contemplation as set forth in the main meditation texts of the Theravada Buddhist tradition. Excellent book. Glad Pariyatti carries it! I just took a class on mindfulness,in which we discussed sending loving kindness to ourselves and those around us. After an experience in which the driver behind me honked because I didn't move as fast as he would have liked, my reaction was not one of loving kindness. I realized I had not yet gotten it, and needed to study this more deeply. I pray this book will help me.